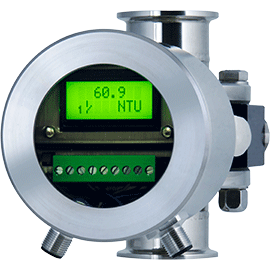 The measurement of turbidity is an essential parameter for the automation of process runs in process engineering. Anderson-Negele offers sensors with different measuring methods for almost every customer application. For instance the turbidity sensor ITM-51 is suitable for phase separation of products for example in dairies (whey - cream - milk). In contrast the ITM-4 can be used for fresh water control in the beverage industry. 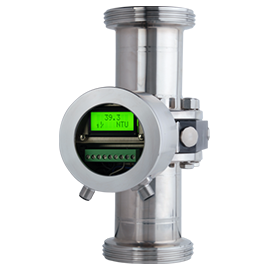 With the ITM-51, the relative turbidity measurement of liquid media in a mid to high turbidity range (200 ...300,000 NTU equivalent) is possible in pipes with a diameter starting from DN25. The precision of the measurement is not influenced by reflections due to small diameters or by electro-polished surfaces. 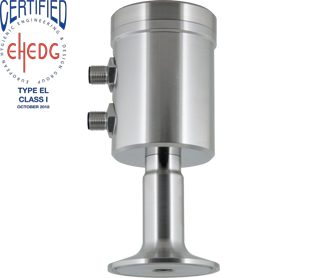 This makes it ideal for production process applications in the phase separation in dairies (e.g. milk – water – whey), for the yeast harvest in breweries or in all industries for the CIP return line. For media with very low turbidity up to a maximum of 5000 NTU or 1250 EBC in pipes from DN25 on the ITM-4 (4-beam alternating light method) is suitable sensor. Pollution of the glass panes will be compensated and has no influence on the result of the measurement. Applications can be found in filtrate monitoring, phase separation of slightly turbid media as well as quality control.